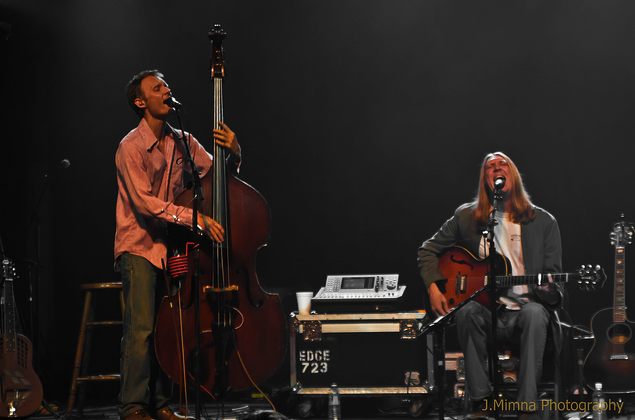 The Wood Brothers and Rayland Baxter play Bowery Ballroom on Friday, March 1. It’s a short-and-sweet list of must-sees this week, but they pack a punch. At the top of the list is The Wood Brothers, whose set takes place at Bowery Ballroom on Friday. Opener Rayland Baxter will undoubtedly demonstrate why he’ll be taking the stage at this year’s Newport Folk Festival, just announced. If you’ve still got enough room for another whiskey and ginger later that same eve, aim to make it to at least part of Carolina Chocolate Drops’ banjo-playing vocalist Hubby Jenkins’ set at The Living Room.